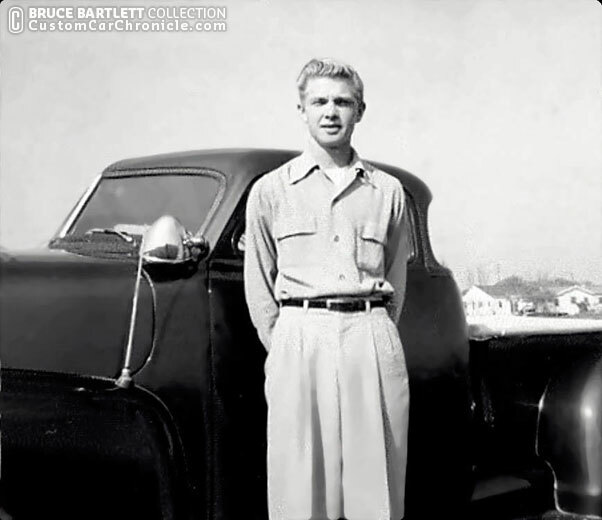 Bruce Bartlett is a member of the Ramblers Car Club formed in 1950. He is currently working on digitally restoration the old Ramblers Club Photo Album that contains some amazing material. The Ramblers of Long Beach Car Club was formed in 1950, and the club just had its 64 year reunion September 13th. Some of the have just turned 80, but they are still going strong and enjoy cars and love the get back together and remember the good old 1950’s on their annual meeting. The Club has created an very nice photo album with club member cars and activities. We like to give you a preview of some of the material in this book. Some of Bruce his personal cars and a few other custom car photos. I’m working together with Bruce to get the old photos scanned the best way possible. Some of these photos are early color prints and they have been very badly faded and shifted to yellow red tones. We try to get some of these restore to show at least a bit more color like they used to do. This album and Bruce his memory about the car club and the whole scene back then is amazing, and we hope to be able to share you a lot more about this in the not to far future… stay tuned. 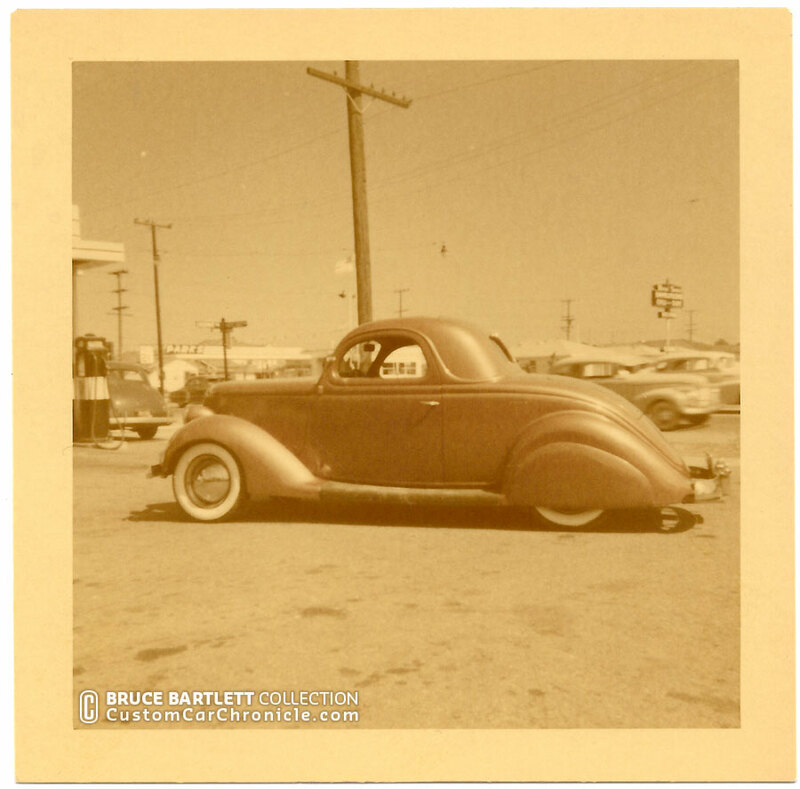 Most of the photos in this introduction article are from Bruce his personal 1936 Ford three window coupe. A very nicely done mild custom. 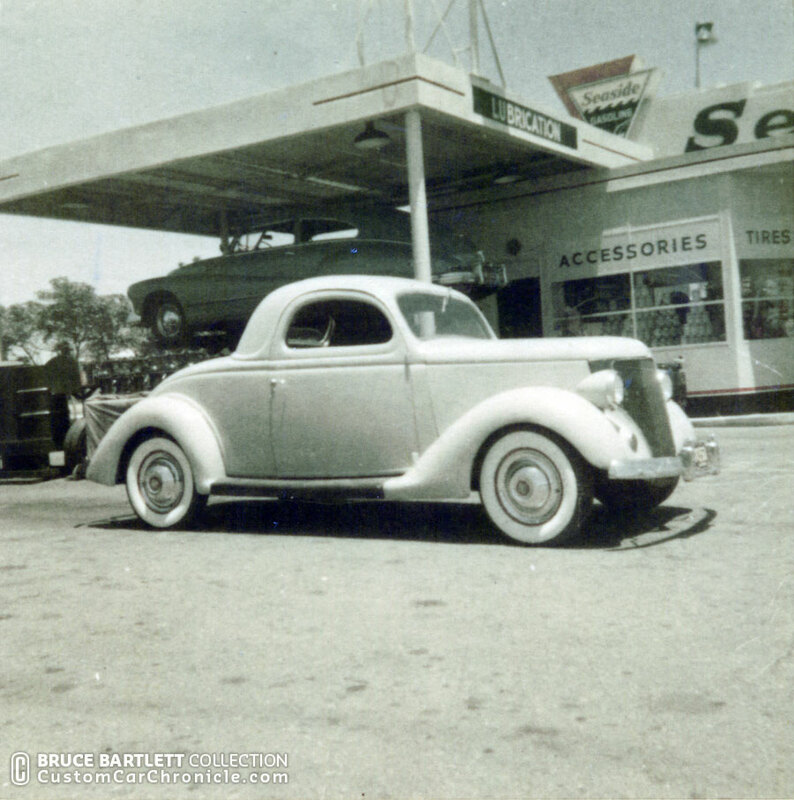 The photos of this car and a few others are all taken at Bruce his father’s gas garage / gas station. 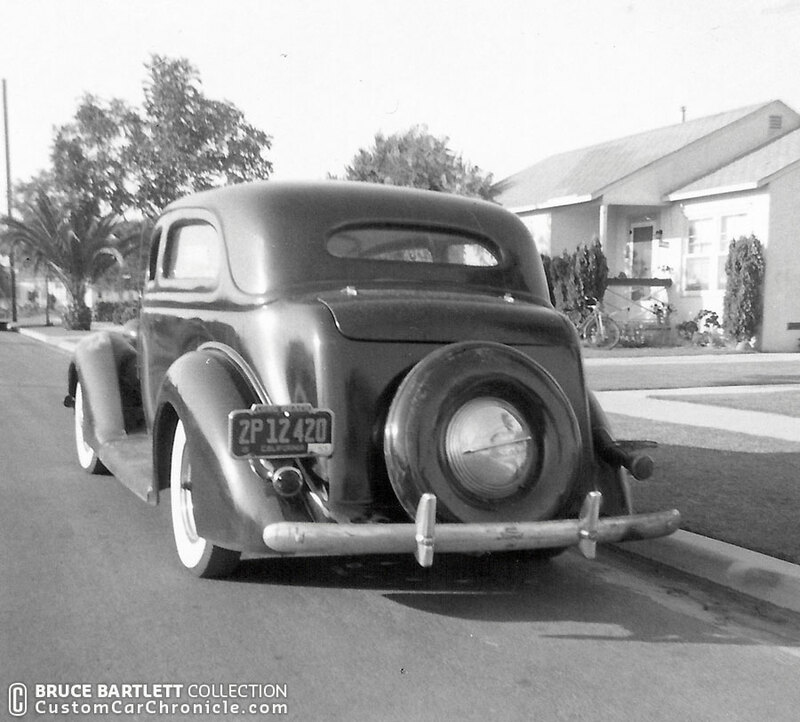 1936 Ford not too long after Bruce bought it, in front of his fathers garage. A place where Bruce spend a lot of his young years. 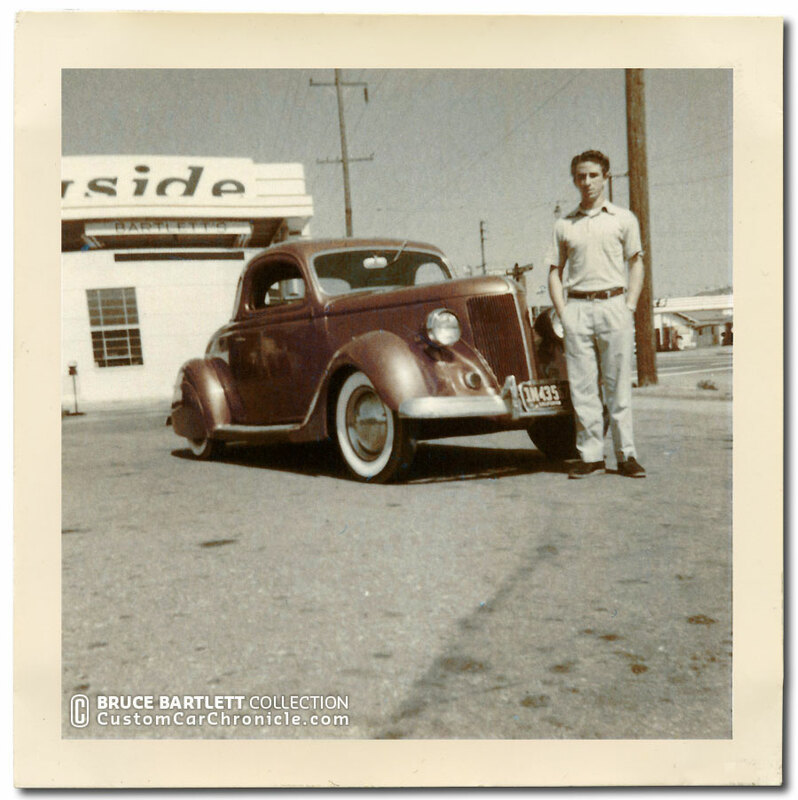 Bruce with his 1936 Ford after it was painted Matador red by one of the members father. Look at the stance the car has… just perfect. This photo has been color corrected, but was based on a rather bad scan. We hope to have much better scans, and options to do better color corrections in the future. Side view shows the 1940 Ford fender skirts and the slight speed boat stance. This photo has not been color correction and shows how badly these color photos have faded and lost most of its color since they were taken in the early 1950’s. 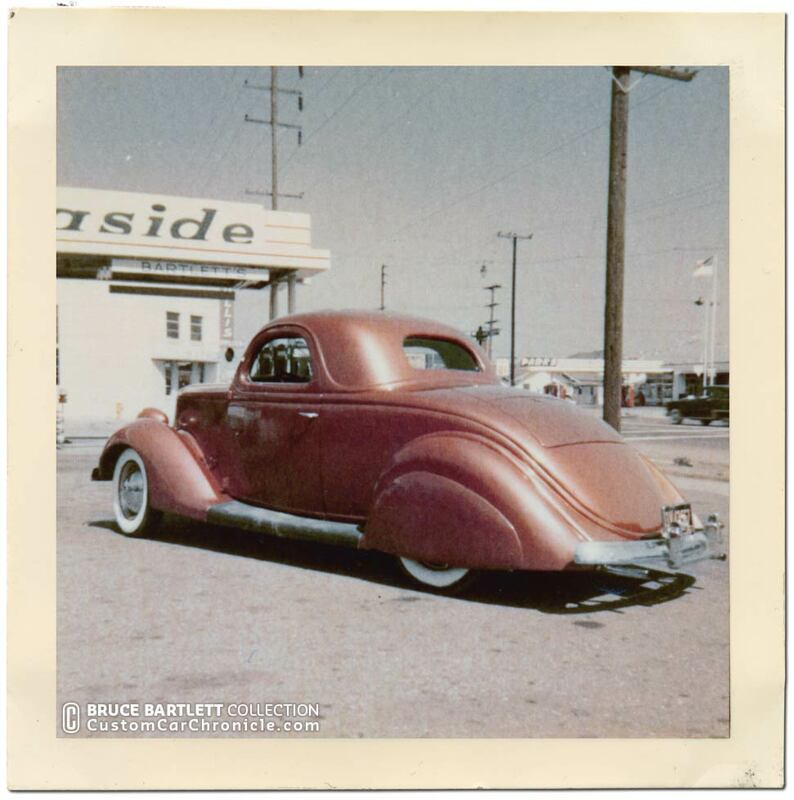 Another photo that was color corrected shows the 1946 Ford bumpers and smoothed trunk. Bruce sure had a good taste for style. 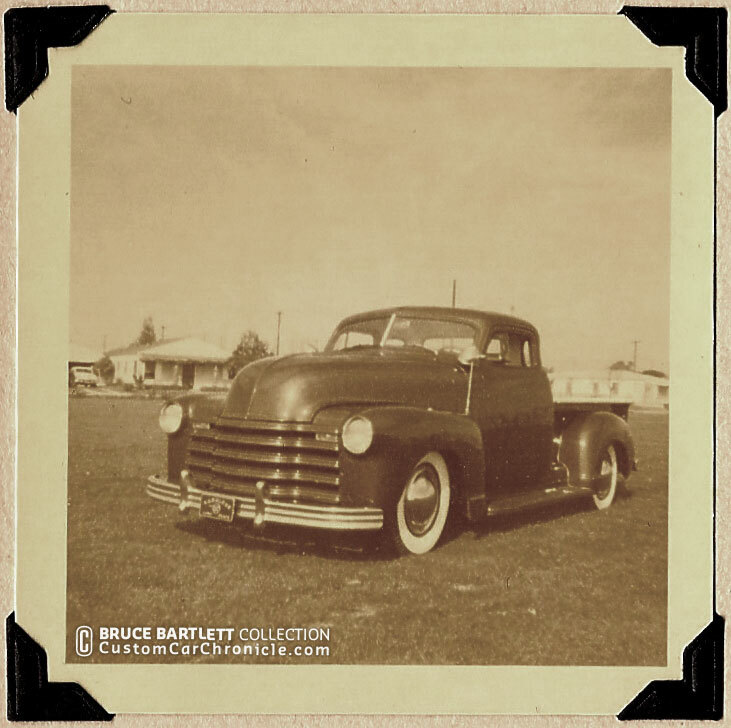 1941 Packard owned by Bruce his brother Caz. The windshield was chopped and a Carson top was added back when he got out of the Air Force in ’45. Another amazing early looking Custom is this chopped 36 two door sedan. 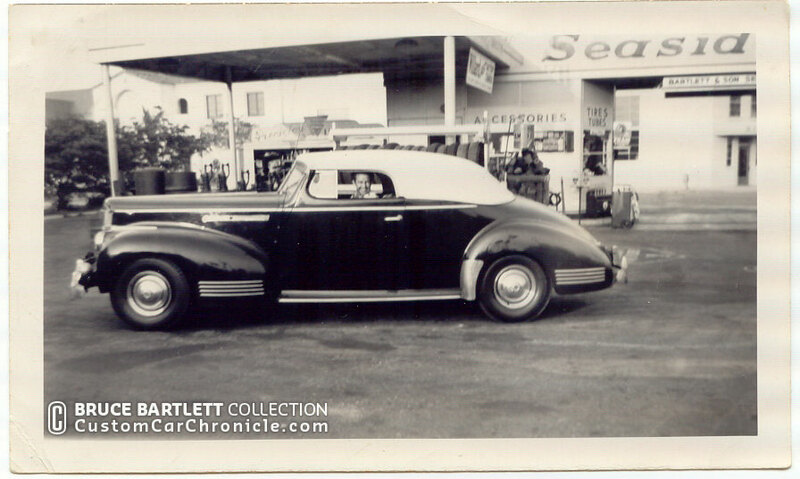 When this photo was taken the car belonged to Eddie Hemry, another member of the Ramblers. Originally owned and possibly built by Bobby DeMarco. 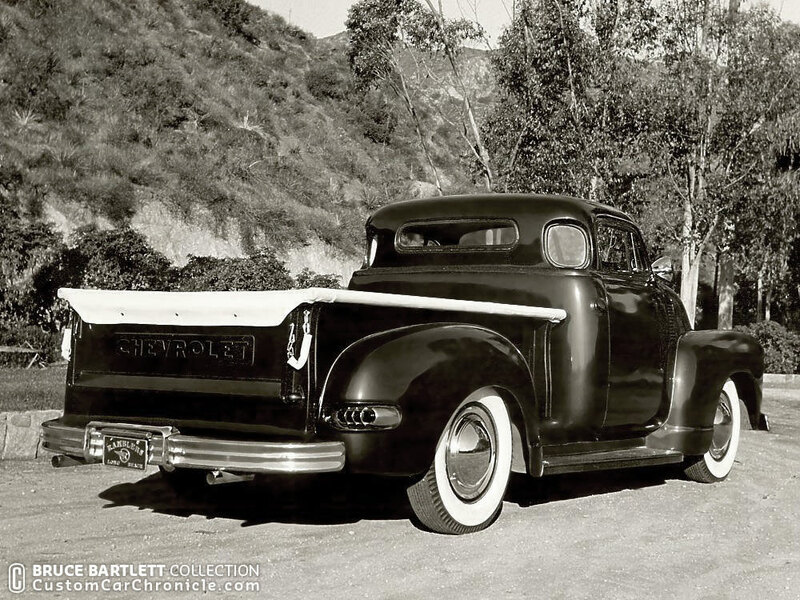 Frank Benson’s Chevy Pick Up Car Craft cover car. The rear of Frank’s Chevy Pick-Up. 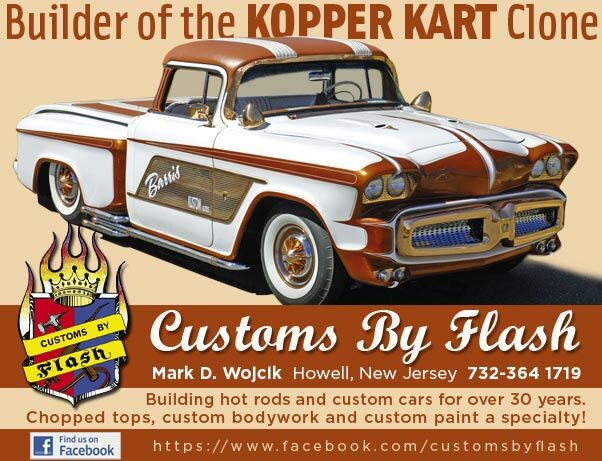 We will be doing a full CCC-article on Frank’s Chevy in the near future. 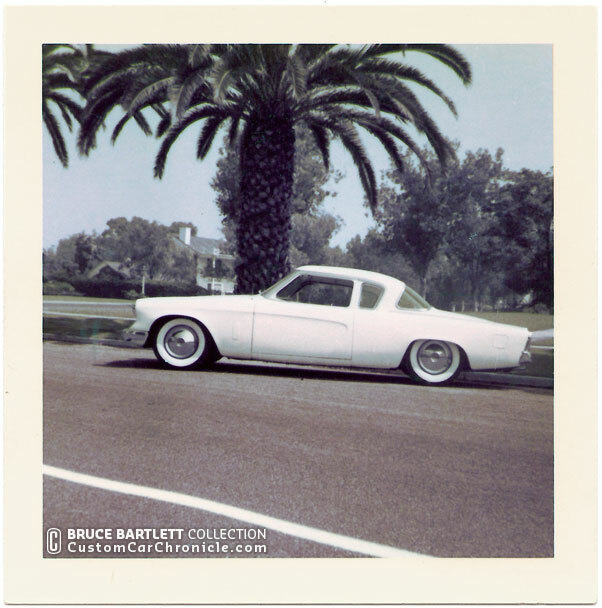 Later in the 1950’s Bruce owned this nice 1953 Studebaker with some mild body modifications done by none other than Sam Barris. I also tried to restore the colors in this photo, but again it was based on a poor scan. We hope to get better results later, when new scans are made. 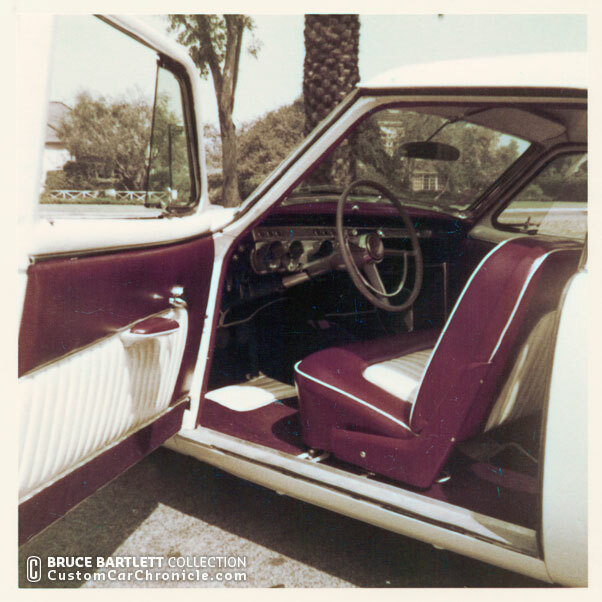 Nice interior in maroon and white tuck & roll in Bruce his 1953 Studebaker. 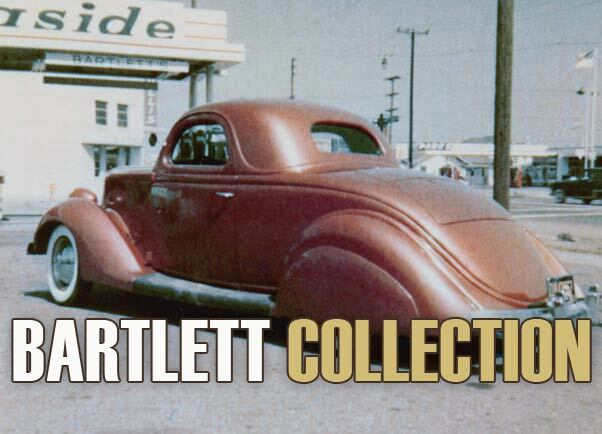 We are looking forward to share many more unique images from the Bartlett Collection and the Ramblers of Long Beach Car Club photo album in future CCC-Articles. And also share more of the amazing stories Bruce remembers about his bike trips to the big name custom shops when he was a kid. 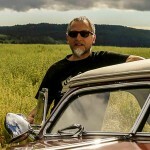 And many other car related stories…. Stay tuned. 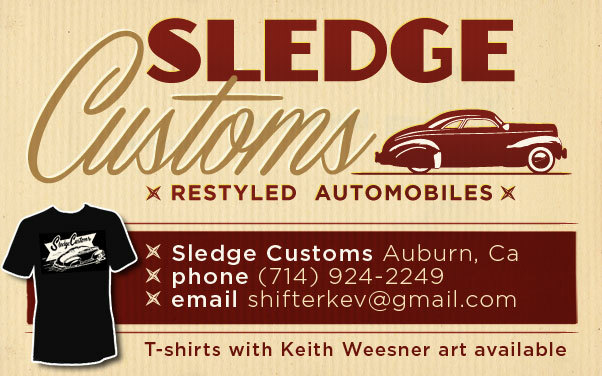 He had great taste in kustoms…that chopped Packard is really nice. These are great photos and awesome customs. Thanks for sharing.